Prime Minister Justin Trudeau is accusing China of ignoring the “principles of diplomatic immunity” by “arbitrarily and unfairly” detaining two Canadian citizens, one of which is a Canadian diplomat. Prime Minister Justin Trudeau is accusing China of ignoring the "principles of diplomatic immunity" by "arbitrarily and unfairly" detaining two Canadian citizens, one of whom is a Canadian diplomat on leave. 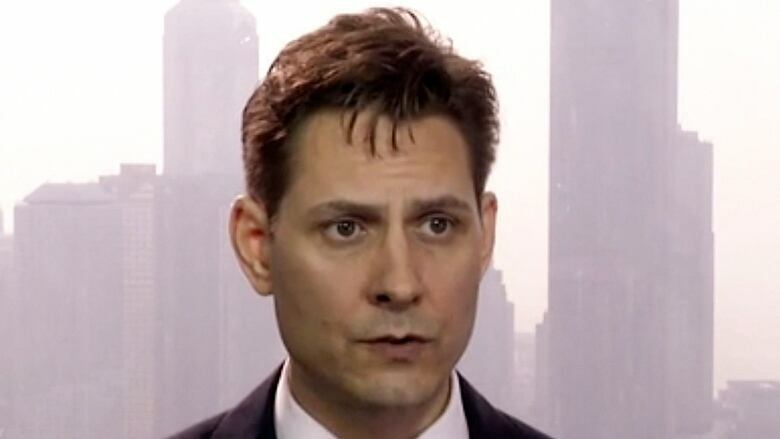 It marks the first time Trudeau, or the Canadian government, have accused the Chinese government of violating the diplomatic immunity of Michael Kovrig, who was detained on Dec. 10 but was not granted consular access until four days later. Kovrig, who is an employee of Global Affairs Canada, is on leave from the department and working for the International Crisis Group, a non-governmental organization focused on resolution or prevention of violent conflict. According to a government official who spoke to CBC News, Kovrig was not travelling on a diplomatic passport. Kovrig and a second Canadian, Michael Spavor, were arrested in China in December after Canadian officials detained technology giant Huawei's chief financial officer, Meng Wanzhou, in Vancouver on an extradition request from the U.S.
She was later granted bail and is now awaiting court proceedings. "Ms. Meng was given a hearing immediately," Trudeau said in Regina Friday. "She was granted bail. She is now in her own home in Vancouver. This is the way we live up to our rules within our justice system. "It is unfortunate that China has arbitrarily and unfairly detained two Canadian citizens, and indeed, in one of the cases, is not respecting the principles of diplomatic immunity." Guy Saint-Jacques, a former Canadian Ambassador to Beijing, oversaw Kovrig's work in the country. In an interview with The Canadian Press last month, Saint-Jacques said Kovrig's job as a diplomat was to monitor highly sensitive subjects. He said Kovrig tried to "get the pulse" of many groups, such as displaced Tibetans as well as Muslim minorities in the northwestern region of Xinjiang, where Beijing has been accused of mass detentions. "He went to remote locations trying to meet with people from these communities to try and understand what they were going through, in terms of the challenges they faced, protecting their cultures," Saint-Jacques told The Canadian Press. "So, all of this, obviously, would have attracted the attention of security people." Saint-Jacques said Chinese authorities maintain extensive files on all diplomats in China, especially those, like Kovrig, who speak fluent Mandarin. Kovrig continued reporting on sensitive subjects involving China after he joined the International Crisis Group as an adviser in February 2017. His work for the ICG has included the North Korean nuclear crisis, China's relationship with the U.S. and its presence in Africa. Chinese officials have said that the ICG is not registered in China and alleged its activities in the country are illegal. It was also revealed today that Scott Bradley has stepped down from his position as the vice-president of corporate affairs for Huawei Canada after working for the company for more than seven years. In a statement posted to Facebook, Bradley said 2018 was a time of "both great success and significant challenges" for the company, but added it "is time for a change." Bradley noted Jake Enwright, who was formerly Conservative Party Leader Andrew Scheer's spokesman, had joined the company last year and said "his vision and strategic thinking are needed in leading the team moving forward." Concerns have been expressed by Canada's allies about the degree to which Huawei can be trusted to take part in the next generation of mobile phone technology, called 5G. New Zealand and Australia have banned the use of Huawei products in their 5G network development, fearing Huawei could use its access to spy for the Chinese government. In August, U.S. President Donald Trump signed a bill imposing restrictions on government contracts with Huawei and ZTE, citing national security concerns. Last month, the U.K.'s BT Group said it would remove Huawei equipment from its existing 3G and 4G mobile operations. Huawei has long insisted that it is not a state-controlled company and denies engaging in intelligence work for the Chinese government. However, Chinese law dictates that companies must "support, co-operate with and collaborate in national intelligence work."